Somewhere in between Jimmie Rodgers and Gene Autry we got to Garth Brooks and Kenny Chesney. Now country musicians have turned into superstars! Maybe it was the rebellious style of Johnny Cash or the outlaw country tunes of Willie Nelson, but something along the way turned crooning cowboys into all-American heroes. 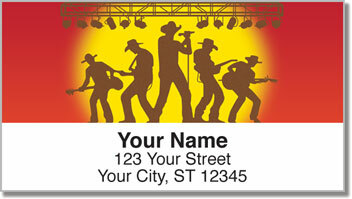 If you can't get enough twang and Southern flavor in your stereo, Country Music Address Labels are a fun choice! 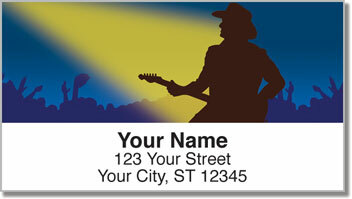 They feature four unique images and a self-adhesive backing that makes preparing mail extra easy! 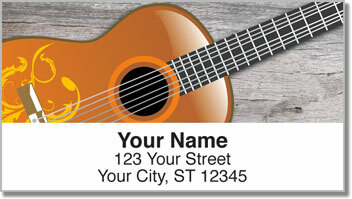 Instead of scribbling your name and address on every envelope, just peel and place! 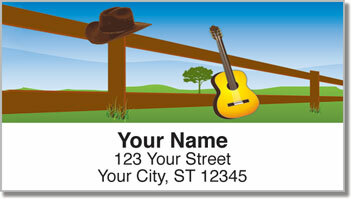 Get your own Country Music Address Labels from CheckAdvantage now! Order them with a set of matching personal checks!